Our approved promotional textile manufacturer in Turkey is based in the industrial city of Denizli. Established in 1994, they have expertise in garments and textile manufacturing, producing made to order towels, bathrobes, slippers, underwear, clothing, bedding sets, socks and blankets. Specialising in the export market across Europe they service the hotel industry, retail and the promotional markets. 100 % Cotton Terry Towel with twisted yarn quality. 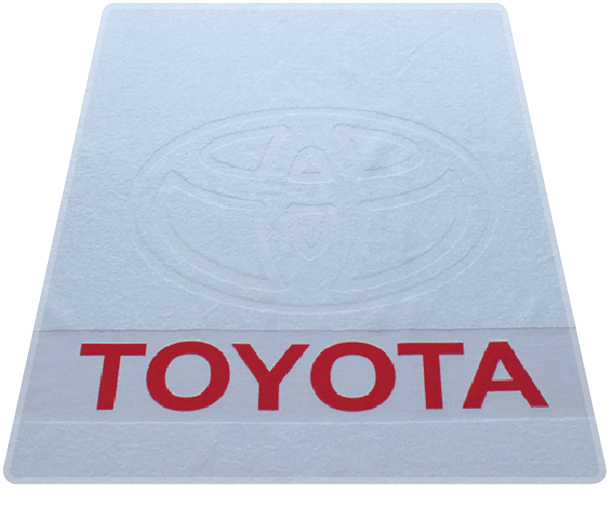 Logo Personalisation, RELIEF (embossed) + Bordure Jacquard woven. Quality option available, from 400gsm up to 600 gsm according to budget. 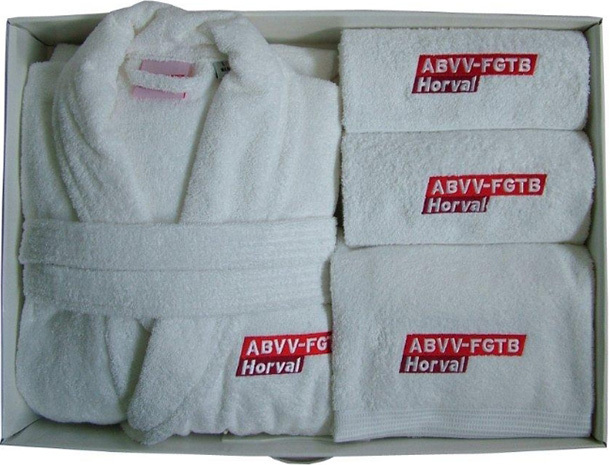 Set consists of 1 x bathrobe (100% cotton), 2 x hand towels (50x100cm), 2 x shower towels (70x140cm) supplied in a customised printed gift box with carry handle. Each item is embroidered with a logo. The embroidery can be split into different brands. 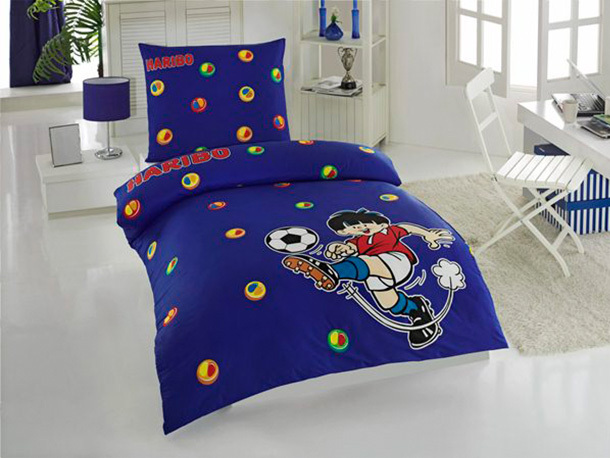 Single duvet set contains 1 x 100% cotton duvet cover with zip closure (140 x 200 cm) + 1 x 100% cotton pillow case (50 x 70/80cm). Full coverage print on both items. Available in Reinforce (Standard) quality or Satin (Luxury) quality. 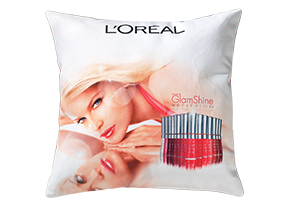 100% polyester cushions (40 x 40 cm) filled with 250 grams of silicon. Digitally printed full colour design available on one or two sides. 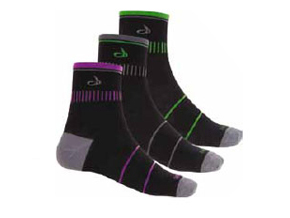 Pair of customised socks, 80% cotton +15 % polyamide +5 % elestane. Customized logo knitted in own pms pantone colours. Available in Sports with inside terry or Office non terry styles. Boxer shorts, 95 % cotton + 5% elastane. Available with a knitted or printed the waistband. Customised logo printed / knitted in own pantone colours. All products and manufacturing processes comply with the European production requirements. OEKO-TEKS 100, ISO 1400:2004, ISO 9001:2008 and OHSAS 18001 certificates are available on request.